When I visited Miami for Christmas I made it my number 1 priority to see Wynwood Walls. I'd seen so many other amazing photos on Instagram showing these coloured walls by talented artists that I wanted to see it for myself. It's a weird sort of place that's hidden and then suddenly you stumble across it and there's just these huge walls with crazy designs around every corner. Fortunately for me my boyfriend grew up in Miami so he knew the area well. We parked up our motorbike and walked around in the Miami heat just in awe of these walls. I didn't know where to look first and then when I looked down there were designs on the pavements too. My favourites were the quotes people had spray painted on. There were lots of other people around taking photos as were we because it really is such a cool, different place. The closest place I can describe it to in London is perhaps Shoreditch except it's bigger. Wynwood is fast becoming the art district of Miami and perhaps even Florida because of all the art work displayed on the walls. They have also now opened small art galleries showing local artist's work that are free for people to go in and look around. 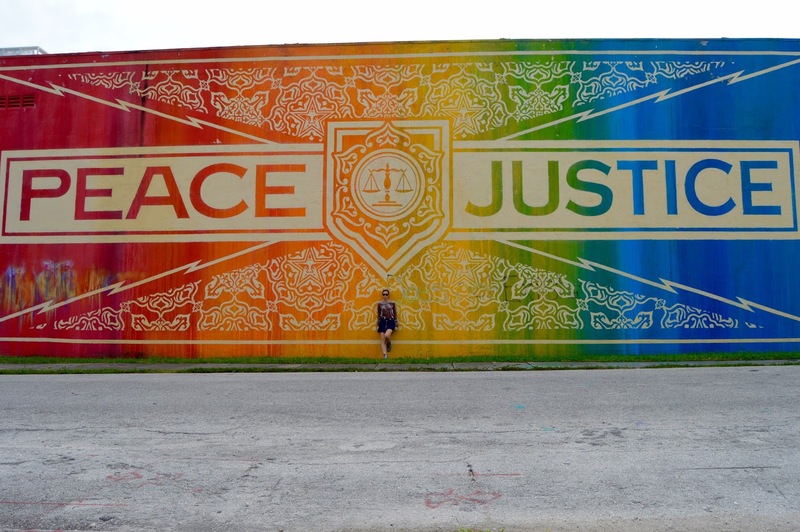 If you find yourself in Miami or even Miami Beach I would definitely recommend taking a stroll around Wynwood and looking at these amazing walls. Don't forget to take your camera! Have you been to Wynwood? Can you recommend anywhere else like this?